The longer I am on this journey, following after Jesus, the more I realize that following His teachings and His life is completely counter culture, even in the area of achievement. I have to get more and more comfortable with how my life will not look like what the majority of the world is striving to achieve. This became most severely clear to me last spring when our family attended a cross-cultural training session for two weeks outside Toronto, Canada. As the facilitator that day introduced our session she said “the way is weakness” and my immediate response was to begin tearing up. It was uncontrollable. She had hit a cord. While in prayer later that week I realized how much I still identified myself with what I could achieve. Although I knew I was loved by God, although I do and have felt His unconditional love, I realized that I was defining myself by what I could do for God and not who I was to Him- God’s daughter and God’s creation. And so tears kept coming as the Holy Spirit graciously ministered to me in that moment. I share this with you all as we introduce our blog because this is not easy for us to post, to share our story, to be vulnerable before an audience we cannot physically see or touch. However, now more than ever, in our lives we have realized the true treasure that other individuals are to us. As our faith is being challenged, stretched and strengthened, it has been the words of friends, colleagues, family and even strangers through texts, over Facebook, in passing that have literally helped us take another step forward. As we share with all of our prayer and financial partners, we are part of a team. We are the goers and they are the senders. And so this is for you- our senders, to keep you updated, to invite you along with us in thanking God as we traverse both mountains and valleys. It is His love that will not fail us. Thank you for joining us. This week our family will celebrate Jesus Christ’s resurrection. We believe a promise fulfilled. As I reflect this week on Christ’s obedience to the cross, I stand in awe at his love and the power of sacrifice. Nothing I can do or will do compares to what Jesus did for everyone and me, nor can it ever compare. I am forever thankful that Jesus is my just advocate. I am thankful that the journey we trek he has already journeyed. I am thankful that he is familiar with all the emotions, challenges, failures and triumphs we have and will experience. And I am humbled that God sends the people we need to make the trek. Just this week one of the artisans from Ecuador, with whom I have been working with for almost 14 years, called. We hadn’t talked in a while and she wanted to connect. As I was sharing about our plans to move to Ecuador she stopped and said: “Francesca thank you, a thousand times over, for the hand you have given me.” I am thankful I had the hand to extend to her. And just this week three individuals shared our story with their pastors or pastors of churches they are familiar with in hopes of connecting us with their congregation in prayer and financial partnership. I am so thankful for their advocacy. God continues to reveal that he is for us. I am thankful for the promise. Welcome to "Trekking with the Barbees." 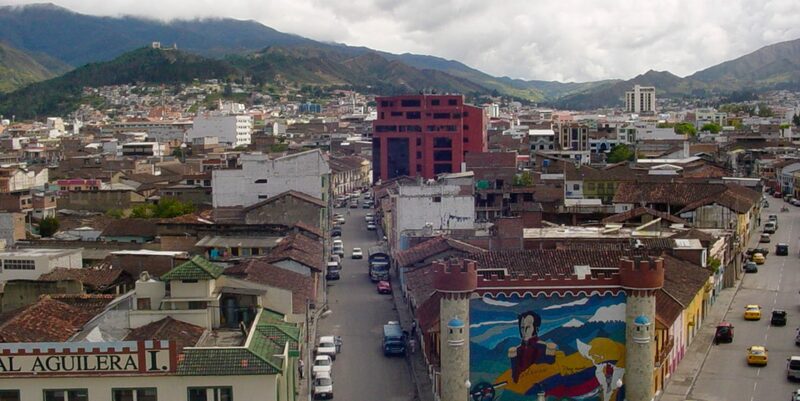 This site is dedicated to sharing our written and photographic reflections and reports as we journey into cross- cultural ministry in Loja, Ecuador. We invite you to read and journey with us however you feel led to do that. We count it a privilege to know and to be known by Jesus who we believe is calling us to a work- a work we cannot imagine accomplishing without an awesome team of individuals who partner through their finances, their prayers and their encouragement! Thank you for visiting and thank you for walking with us!